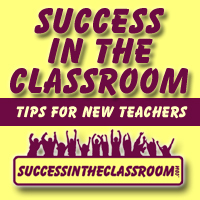 In this episode, I have Dorina Sackman the 2014 Florida State Teacher of the Year. She was also one of the finalists for the National Teacher of the Year. I had such a great time picking Dorina’s brain about teaching and education. She’s a middle school teacher, so you know as a former middle school teacher myself, we had so much to talk about. We spoke a lot about the importance of building positive relationships, and if you have heard any of the other podcast, you know that is something that I believe in, and it is a common thread among the amazing teachers I’ve had on the podcast. They focus on building those positive connections with their kids right off the bat, and it pays off all year long. Dorina reinforces that on the podcast. I was impressed and inspired by how far she goes to build those relationships. She has survey that she gives her students at the beginning of the year that goes beyond just asking the basic information on a student. It asks for information about their family and their community. She then takes this information and goes out into the community to make those connections with their family and the community members. Amazing. Dorina also shares about B.E.L.I.E.V.E. - Be the Educators who Lead to Inspire and Empower Via Excellence! It’s her way to inspire teachers to have an impact and be effective. So listen for that. This was another very inspiring conversation with a truly amazing teacher. I know you will find this podcast full of value and great take-aways.